No Refunds. Exchanges for size or color of same style will be honored within 7 business days from when the shipment is received. Please send exchange inquiries to info@hardfastlife.com, detailing reason for exchange within 2 business days of when product is received. Please note that items for exchange must be returned unworn and unwashed condition in its original new condition with receipt. Failure to comply with these guidelines will result in No Exchange. Availability displayed on this Site does not guarantee product availability and or immediate shipment of these products. 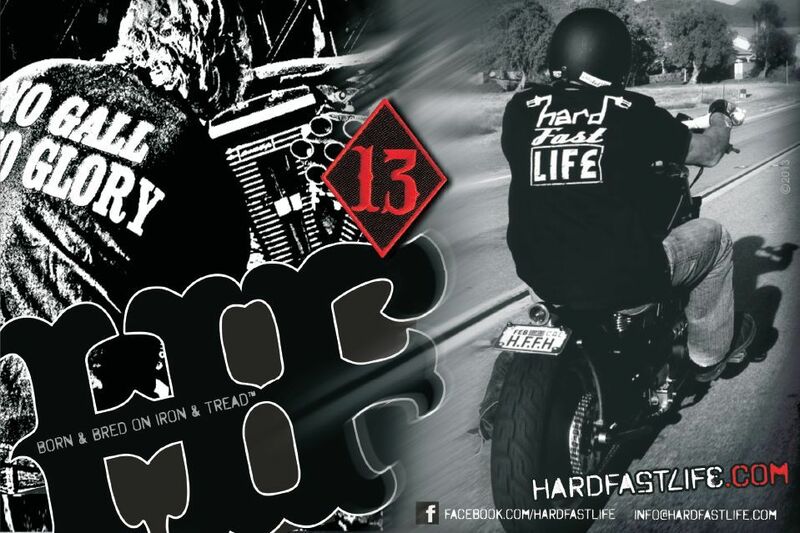 Hard Fast Life (HFL) reserves the right, without liability or prior notice, to discontinue, revise, cease to make available, and or cancel orders on these products. Residents of the state of California are subject to sales tax. All orders made outside of California will be exempt from taxation. All designs of Hard Fast Life and products displayed on the Site represent the collection of works and intellectual property of HFL USA (unless otherwise noted), copyright 2011-2013, all rights reserved.